What lights fit into the RingMAXX? The RingMAXX features four adjustable mounting points to accommodate a wide range of fixtures. We’ve tested a broad variety of the most popular studio flash heads as well as monolights to fit the RingMAXX. Thanks to the durable aluminum frame of the RingMAXX, even heavy 1000W/S monolights will mount safely. On the high-heat RingMAXX any combination of fixtures up to 4,000W continuous can be used, be it Tungsten, HMI, LED, or Plasma. On all RinMAXX setups, the best possible light output is achieved when using fixtures with a bare bulb, fully exposed flash tube, or “bug light” design where the bulb or flash tube is able to output omnidirectional light. 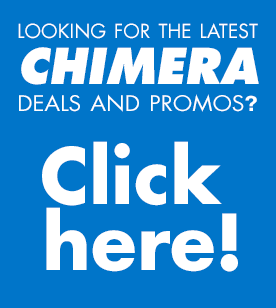 https://chimeralighting.com/wp-content/uploads/2017/08/chimera-lighting-logo-copy.png 0 0 Chimera Lighting https://chimeralighting.com/wp-content/uploads/2017/08/chimera-lighting-logo-copy.png Chimera Lighting2017-02-21 13:28:112017-07-03 13:36:17What lights fit into the RingMAXX? How does the RingMAXX mount to a stand? Can I use continuous lights in the RingMAXX for strobe?